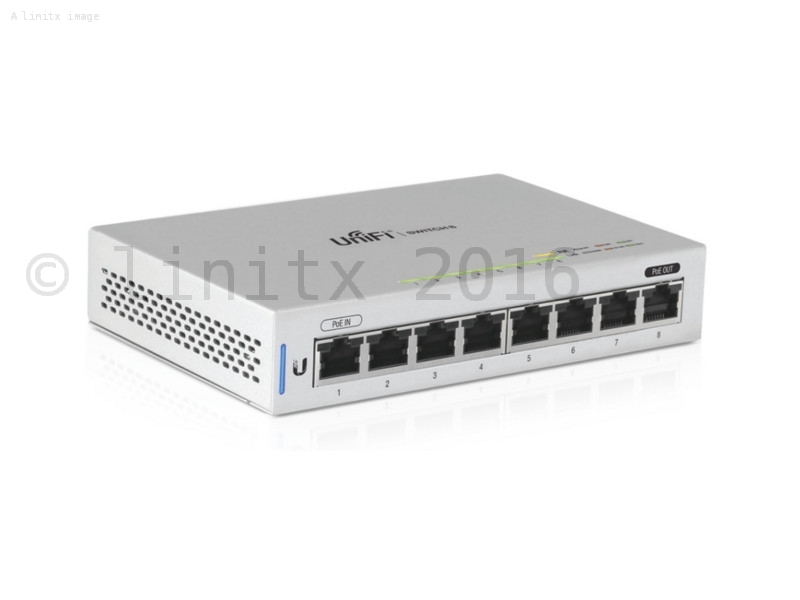 The new UniFi 8 Port Switch is the base model in the UniFi switch range. 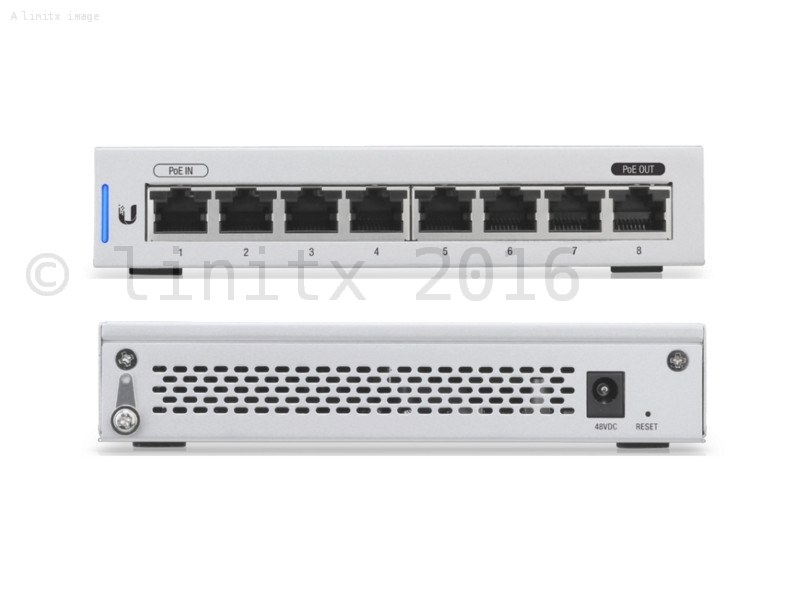 The US-8 model has 8 Gigabit Ethernet ports one of which is a PoE Passthrough port. The output voltage and power rely directly on the power input. 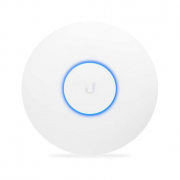 Like all products in the UniFi range these switches are fully manageable via the UniFi Controller and deliver robust performance and intelligent switching for your expanding networks. Switching Performance: The US-8 offers the forwarding capacity to simultaneously process traffic on all ports at line rate without any packet loss. Each port supports up to 8 Gbps total, non-blocking, throughput with a total switching capacity of 16Gbps. Supported Voltage Range 48V Mode: 56V to 40V, 24V Mode: 27V to 20V. The switch is just about as small as it could possibly be and using the ability to use PoE means that there is no power supply to worry about finding somewhere to plug in. 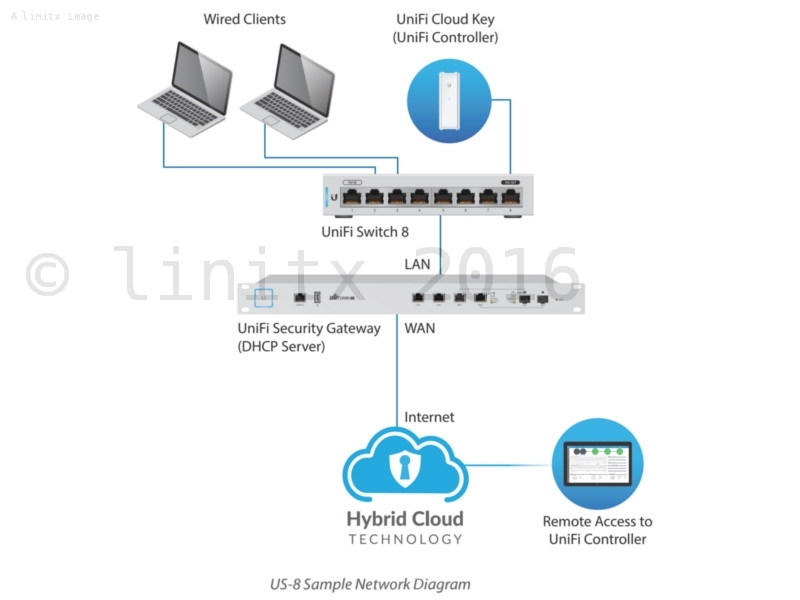 Set-up and configuration experience was as easy as other Unifi switches, almost one click and it is done. From my experience the switches draw about 5W with 48v PoE, leaving plenty of power available for the single PoE port should that be used.